In the state of Idaho I picked the Silver Spur Ranch to talk about first because I like the name. This ranch is located near Medicine Lodge, Idaho. Sounds like a beautiful place to spend a horse riding vacation. They have a summer and winter horse drive named the Medicine Lodge Horse Drive. This sounds like a fantastic adventure to take part in. Rates for this adventure is $1400. The winter dates are February 15-21, 2015 and March 1-7 and 15-21 of 2015. The summer horse drive rates are the same and there are several dates available starting in May and going to September. Check out the website for exact days. The rates for staying at the ranch is $1400. Like most guest ranches I’ve written about so far, and the Silver Spur is no exception, and has been in the family for the past 60 years. 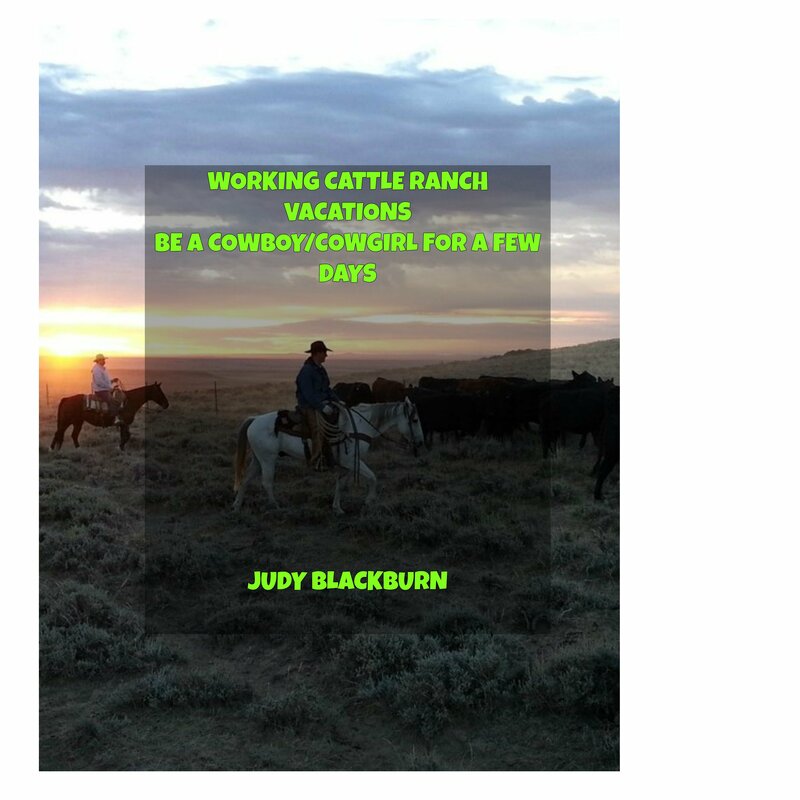 Silver Spur is an actual working ranch and the guest are there to participate in the cowboy way of life. They become a part of the group of wranglers; riding the horses, roping, and herding the cows. The ranch is located in the Warm Creek area and there is no electricity, but there are hot showers and outhouses. There is a cookhouse and comfortable bunkhouses for sleeping. A big hearty breakfast starts the day and a sack lunch is packed for later. Back at the ranch after a day of riding you will have dinner and be able to relax by the campfire and relive your moments out on the range. Near Sandpoint, ID is a quiet place called Western Pleasure Guest Ranch. The address is 1413 Upper Gold Creek, Sandpoint, ID 83864. Phone contact is (208)263-9066 or toll free 888-863-9066. Website is at www.westernpleasureranch.com. In the winter, guests can have great fun riding in a horse drawn sleigh. How fun that would be. The only problem with that is that you have to be there in the winter time with snow. I don’t like the snow, but I would love to go on a sleigh ride. So I would be weighing my pros and cons here. The ranch has four cabins Meadow View Log Cabin, Hunter Log Cabin, Wrangler Log Cabin, and Settler Log Cabin. Rates for all the cabins are $165. for one night except the Meadow View which is $200. for one night. In the lodge there the The Duke room at $130., Grandma’s room at $125., Grandpa’s room is also $125. The Miss Belle room is $130., The Nez Perce and Siesta rooms are each $135. All these room rates are for one night. Horseback riding costs are for a two hour trail ride and is $65. per person. A guide will lead you through the trails. Going through Western Pleasure Guest Ranch’s web site is fun. They have virtual tour which is kind of cool. Click on an area and it takes you around the inside of the lodge or outside you can view the scenery. There is a place where you can meet the crew and family members and read more about the ranch and its history. They also have a section where you can be introduced to their horses. Pictures and descriptions help you get to know one of the horses you will be riding. Close to the Salmon River Mountains is the Diamond D Guest Ranch. At this ranch you can learn to pan for gold, fly fish as well as hiking and horse back riding. Information is at www.diamonddranch-idaho.com/index.html. Phone number is (800) 222-1269 or (208) 861-9206. This guest ranch has a lot of different activities like archery, target shooting and more. It is also a big game hunting outfitters. Visit their web site for more information on that exciting adventure. Also included on Wednesday’s is a hike to near by areas such as Mystery Lake, Owens Hotsprings, and Summit Ridge. The Red Horse Mountain Ranch sounds like a beautiful ranch to visit. It is located about an hour and half from Spokane, Washington and close to Coeur d’ Alene, Idaho. Their contact information is 11077 East Blue Lake Rd. Harrison, ID 83833. Phone number is (888) 689-9680 and their website is www.redhorsemountain.com. At this time it’s adult week for ages 12 and older. The wrangler sets you up with the horse and saddle you’ll spend your time with during your stay here. There are plenty of rides to take in with your new found horsy friend. They listed so many fun things to do that I won’t list them all here, but the list included fly fishing lessons, a zip line, and a climbing wall. Remember to check out these individual web sites for all their details.